Facebook shares are rising, and that has one trader hitting the buy button on the stock. The stock is up 15 percent since reporting earnings Jan. 30, leading Todd Gordon, founder of TradingAnalysis.com, to believe new highs could come sooner than investors think. In fact, Gordon believes that the stock is set to close a giant gap down in the charts from that July all-time high when the social media stock cratered from earnings. 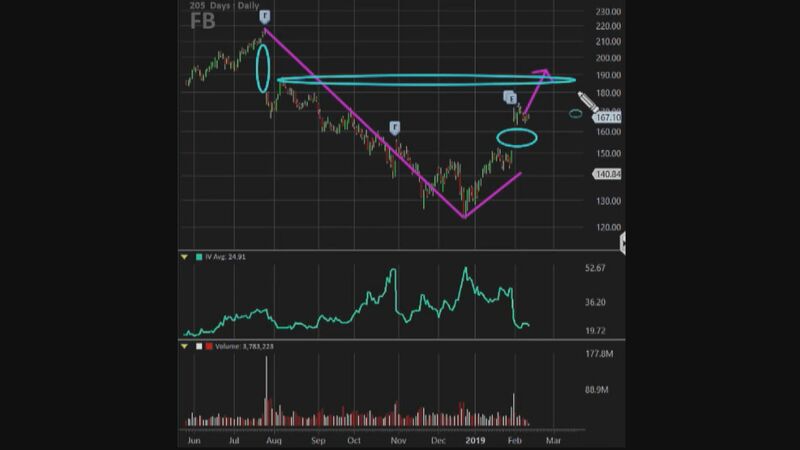 This means that in the short term, he believes Facebook could return to around $190, the lower end of that gap down in July. 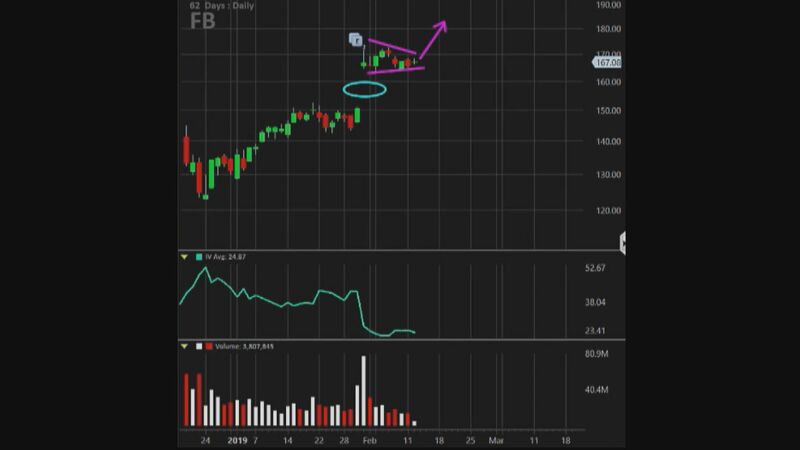 But Gordon also believes that the recent consolidation in Facebook shares after its Jan. 30 earnings report could also point to more upside for the stock. He believes that the consolidation post-upward earnings gap means that “sellers aren’t really interested” in getting in the stock, and it’s now mirroring a consolidation happening in the market as well. “Once the market does get through consolidation, I believe the next move should be up in Facebook,” he added. As a result, Gordon wants to buy the April monthly 170-strike call and sell the April monthly 190-strike call for about $5.34, or $534 per options spread. This means that should Facebook close below $170 on April 18expiration, then Gordon would lose the $534 he paid to make the trade. But should Facebook close above $190 on April 18, then Gordon could make up to $1,466 on his trade. Thanks to its jump on earnings, Facebook has now risen 27 percent year to date.